Throughout the years, yoga has been shown time and time again to provide a number of important physical and mental health benefits, from reducing stress and anxiety to lowering blood pressure and improving heart health. Clearly, there are lots of reasons to make yoga a regular part of your routine. But, at the same time, lots of people are hesitant to take up the practice. One reason for this is that many people think that yoga is inaccessible to them because they have limited mobility and aren’t able to stand for long periods of time, if at all. Yoga can be made accessible to people of all abilities, especially thanks to the recent increase in the number of chair yoga classes being made available online and in-person. Read on to learn more about the benefits of chair yoga, as well as some simple seated yoga poses that you can start practicing today. 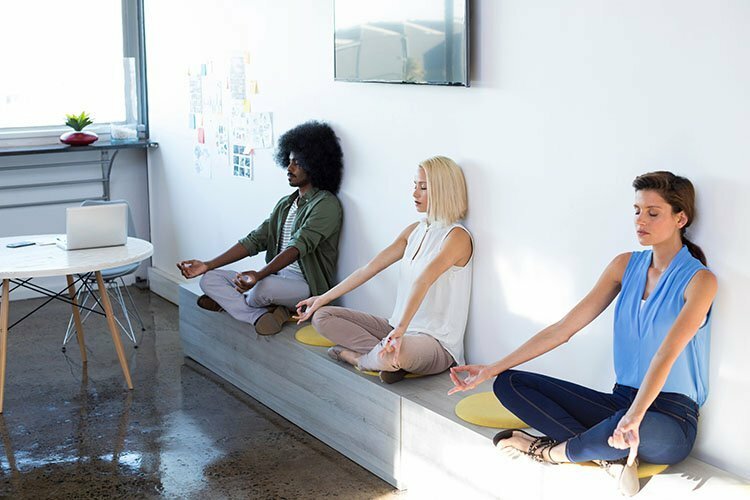 In addition to accessibility, there are a number of other benefits that come with practicing chair yoga on a regular basis. As you can see, there are lots of reasons to practice chair yoga. Even people who are able to stand can benefit from adding seated exercises into their routine, especially if they’re very busy and are trying to squeeze in a workout from their desk at work. Is Chair Yoga as Effective as Traditional Practices? There are many benefits to chair yoga, but you may still be wondering if it’s as effective as a traditional practice for helping you reach your goals. It’s true that you may not burn as many calories during a chair yoga class as you will during a standard one. But, when it comes to therapeutic benefits, like reduced back pain and improved range of motion, chair yoga seems to be just as good as any other type of practice. In fact, one study found that it was just as good as other treatment options at minimizing pain and improving functionality in seniors with osteoarthritis. Listed below are five of the best chair yoga poses that you can start practicing today, even if you’ve never taken a yoga class before. Sit up straight with your feet flat on the ground. Place the hands on the knees or tops of the thighs. Inhale and arch your spine, pulling your shoulders back and lifting your chin toward the ceiling. Exhale and round your back, bringing your head forward and chin toward your chest. This is one round. Repeat five times. Sit up straight in your chair, then raise your arms up over your head. Hinge at your hips and lean forward so your torso is resting on your legs. If you can reach the floor, let your hands rest there — it’s okay if you can’t touch, though. Allow your head to heavy wherever you are. Hold this position for 3-5 breaths, then slowly raise your arms over your head and sit back up as you inhale. Return to the beginning position and lift your right leg. Cross it so your right ankle is resting on top of the left thigh. Try to keep your knee and ankle in line with each other. For many people, simply sitting this way is a good enough stretch. If you want to take things up a notch, though, reach your arms up above your head as you inhale, then stretch forward, hinging at your hips. You should feel a deep stretch in your outer hip. Hold for 3-5 breaths, then switch legs. Return to the beginning seated posture, then cross your legs so your right thigh goes over your left. If you’re able, you can continue cross so that your right foot is wrapped around your left ankle or calf. Extend your arms to the side, then cross your arms so your left elbow is about your right. Continue wrapping so that your right palm crosses over your left. Press your shoulders down as you lift your elbows. Hold for 3-5 breaths, then switch sides. For this pose, start by sitting up straight with your feet flat on the floor. Swing your right leg over the side of the chair so that it’s facing out. Then, bring your left leg out to the side and twist your torso so the leg extends behind you. Your torso should be facing the same direction as your right knee and foot. Plant the left foot on the ground and position it so that it’s at about a 45-degree angle. Straighten your left leg as much as you can. Lift the arms up above your head as you inhale. Hold for 3-5 breaths, then repeat on the other side.